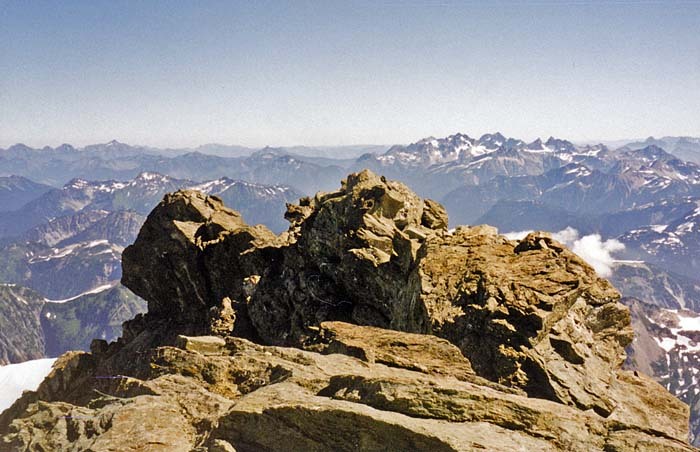 Mount Shuksan Solo Climb: Rather Dangerous! 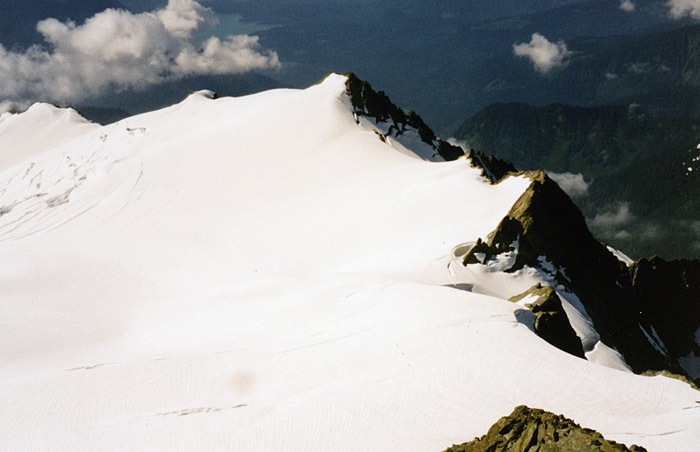 Mount Shuksan [9,127’] was an alpine delight, enhanced by perfect weather [rare in the Nth. Cascades! ], excellent snow conditions and very good fitness on my part. 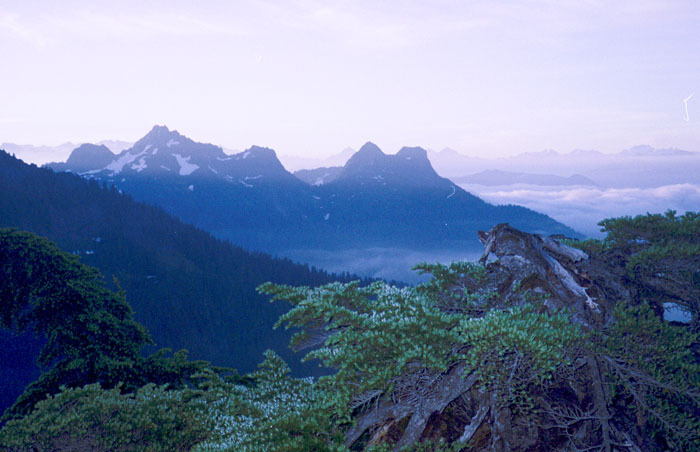 Shuksan is apparently considered a prize climb in the Seattle region and is featured on many postcards, calendars etc … all news to me, but there’s no doubt of its beauty and attractive appearance when the clouds clear from the summit. 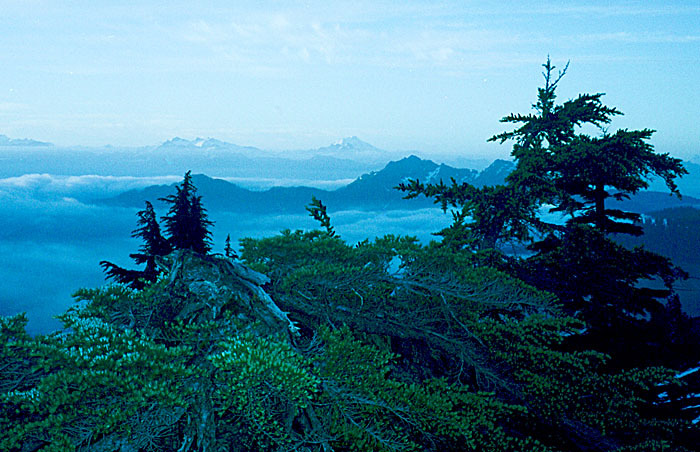 Shuksan is situated 15 miles south of the Canadian border and 10 miles northeast of Mount Baker [the most northern of the Cascade volcanoes in the USA]. 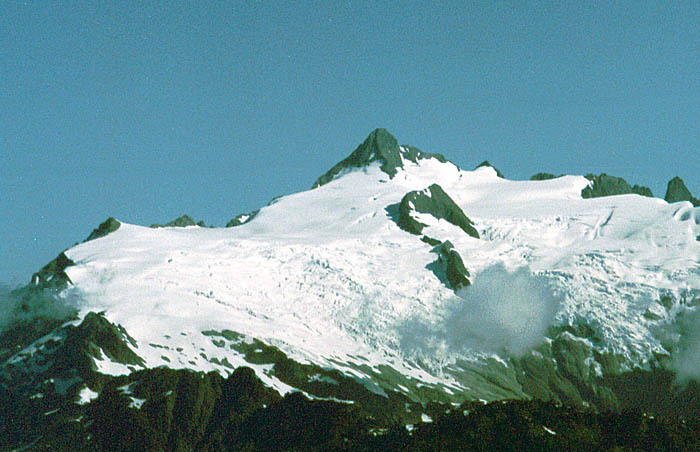 Most of its mass is covered by ice, with two large, relatively gentle, heavily crevassed glaciers [Sulphide and Crystal] on the southern slopes. 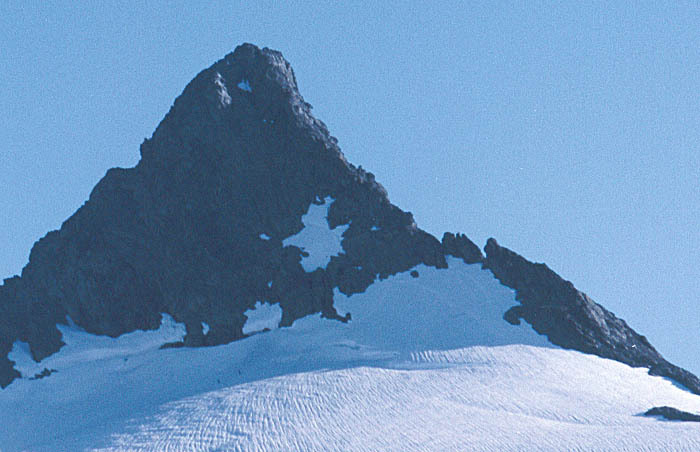 The summit is a 400’ rock pyramid perched above and to the north of the main névé of the glaciers. 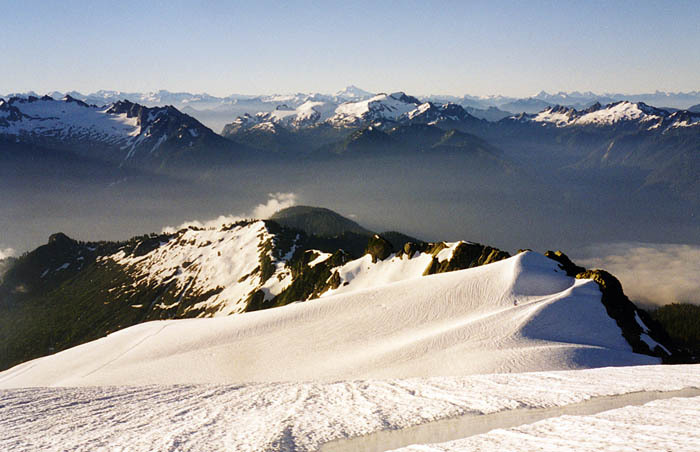 Looking north from my Mount Watson camp to Mount Shuksan ... Sulphide Glacier on the left. Relieved, and content, to be back at my tent at 6,000' ... an out of focus selfie! 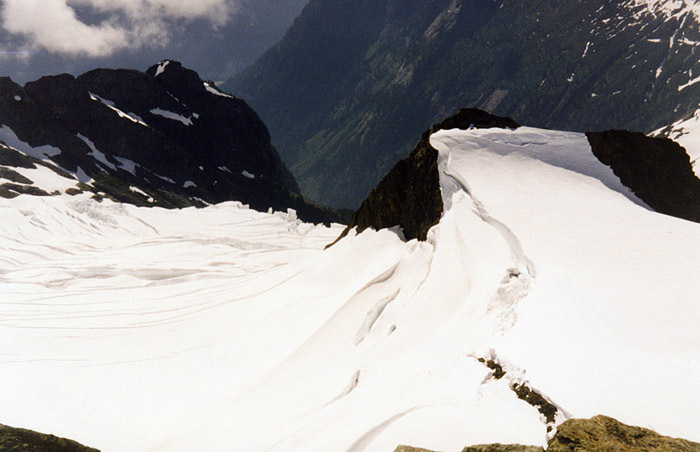 The route I chose, the Sulphide Glacier, begins at a forest trailhead [2’500’] to the south of the mountain, with an excellent access trail leading up through spectacular old growth rain forest onto an alpine meadow ridge, through a cozy little saddle at 5,000’, a short talus traverse to the base of the glacier and up to a snow camp at 6,000’. 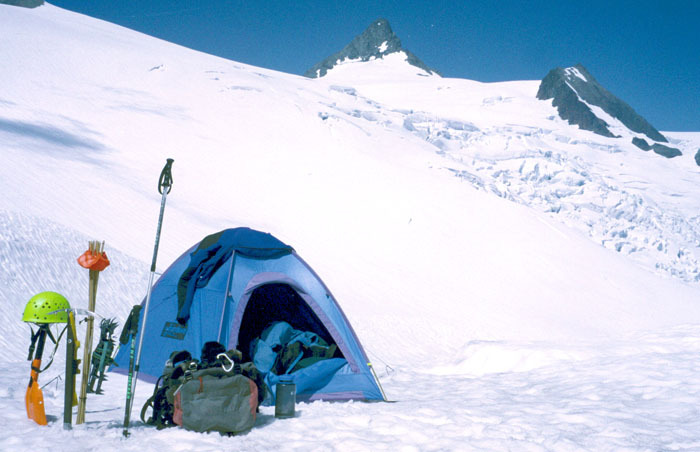 It took me six hours to the high camp with the heavy pack and three days’ supply of food and fuel. No rope, but I did take my harness and prusik slings for a possible crevasse rescue. I was also carrying my latest acquisition, a small GPS receiver that performs navigation with amazing accuracy now that the DOD selective coding has been removed from the GPS satellites. 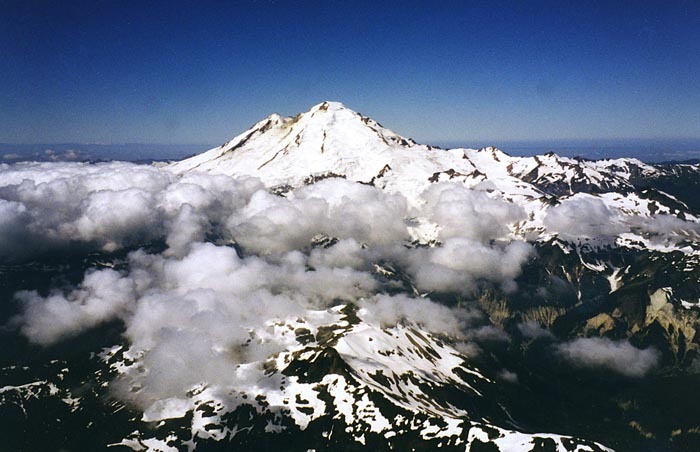 Other climbers on the mountain consisted of three teams: all guided by pros or training teams from Alpine Ascents International and The Mountaineers of Seattle. 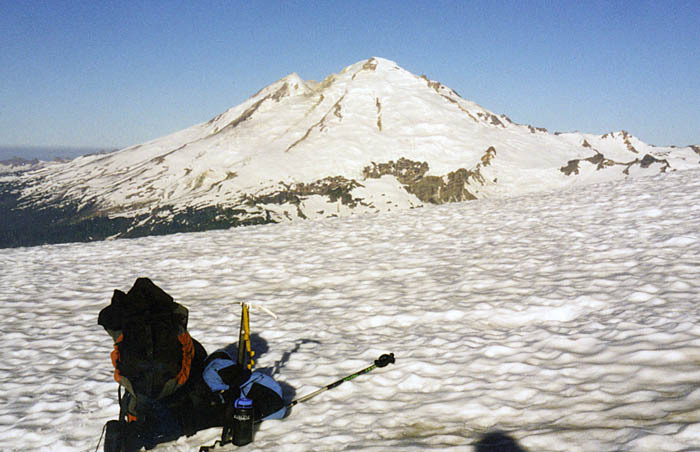 Good folks to be nearby, so I followed in their footsteps on the upper glacier sections, tippy toeing around the crevasses and up to the base of the summit pyramid. The easiest route is through a south facing central gully rated Class 3 - 4 which seems to be climbed un-roped by most of the pro’s, although some of their clients rappelled down the more difficult sections. As a high rock scramble it’s okay, except ... most of us were wearing plastic boots! 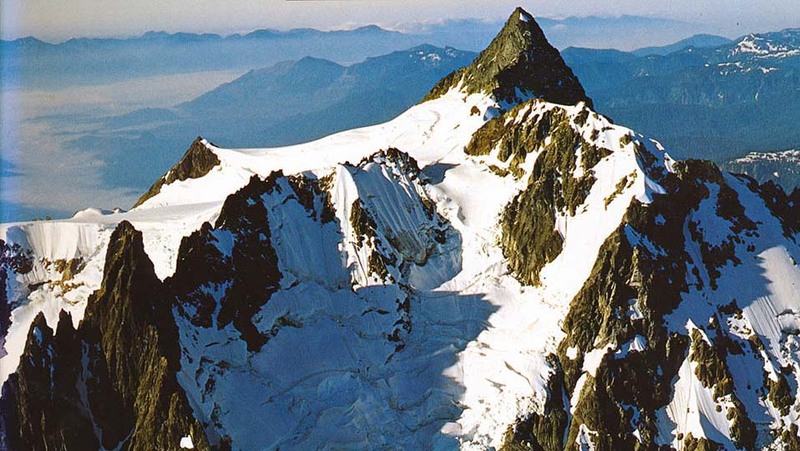 By the time I’d descended back to the glacier, I’d adapted some skill and confidence with using the boots on steep rock, but it would have been a little less desperate in light leather boots. 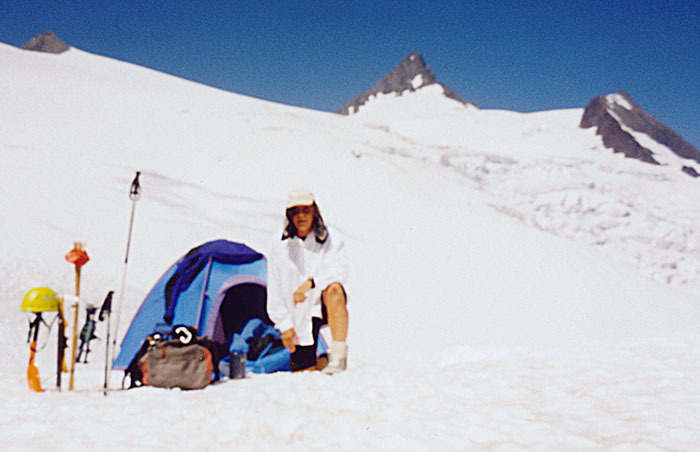 The trip from my camp to the summit and back took 8 hours and I remained another night before the descent to the trailhead which took 4 hours. 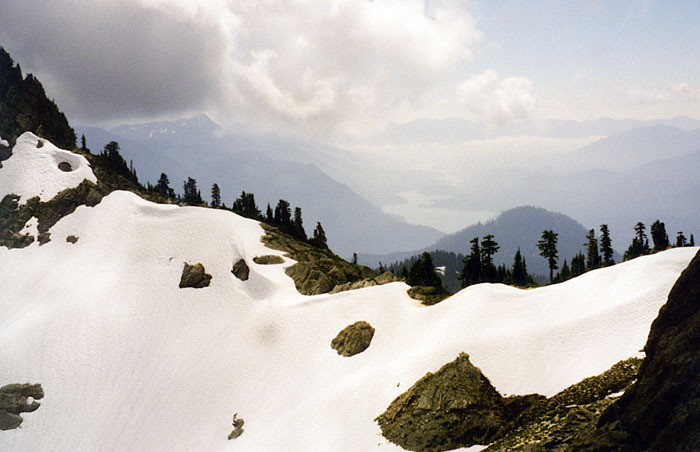 For me, it was the perfect solo alpine climb ... probably the best thing I’ve ever done, but I’m mindful of the optimum weather and snow conditions that allowed this to happen.